ES and NATO Forces jointly developed the bayonet system B2005 in accordance with the extensive STANAG specification. The final pre-production run of the ES B2005 was subjected to extreme bending and torsion tests, falling and pulling tests, -40C +40C and ABC tests, and high voltage electrical insulation exposure tests. The B2005 passed and, in most tests, exceeded the STANAG specification, resulting in the B2005 being accepted into NATO Forces stores. This was the first bayonet designed to meet the requirements of the US Marine Corps. 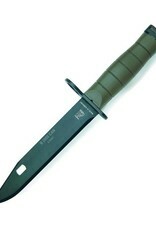 Users of this bayonet include Canada, UK, Sweden, Netherlands, and Ireland, among others. The attachment of the B2005 knife to a weapon in extreme operational situations demanded extreme capabilities. 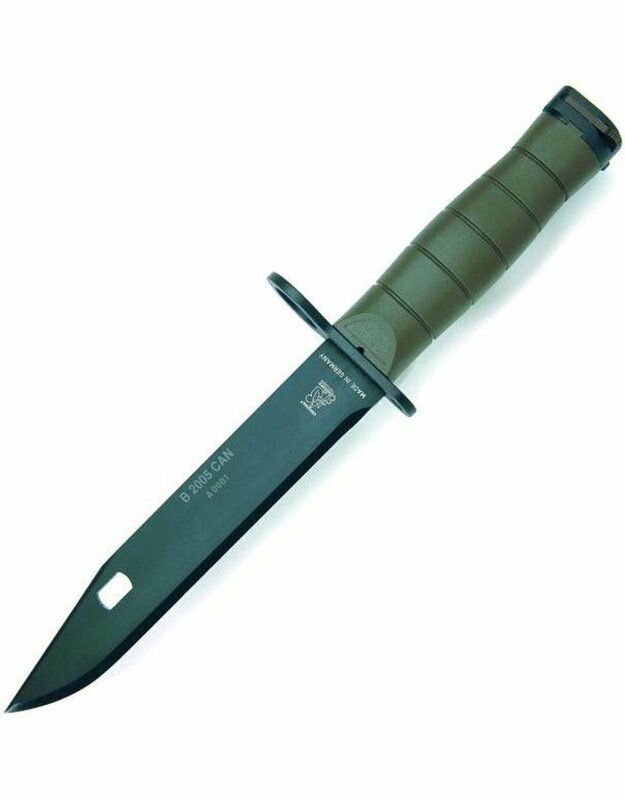 Accordingly, ES manufactured the lightweight B2005 from Professional Bayonet Steel, which allows a 30-degree angle of bending in either lateral direction without damage or fracture. An anti-reflective and corrosion resistant Kal-Gard treatment protects the blade and the cross guard. The green grip and sheath are made of fiber glass reinforced polyamide. The wire cutter is capable of cutting hardened barbed wire, while the handles' electrical resistance insulation protects the user from up to 10,000 volts. The adjustment screw on the cutter allows for an optimal cutting result. The sheath with strap fits all U.S. MOLLE and IDZ carrying systems of the German Bundeswehr. Additionally, a diamond sharpener is supplied alongside the blade.